Nate created this map in order to raise money for the Turtle Conservancy. Nate has been getting a lot of fun map commissions lately so he created a site to feature all of them - it's called IDrawMaps.com. Please pass this along to any art directors you know who may need this sort of illustration! Nate is working on a map of the UK for a client and these are some "spare parts" that he didn't use, so instead of deleting them forever, here they are! Coffee, castles, bikes and ice cream? What's not to love! 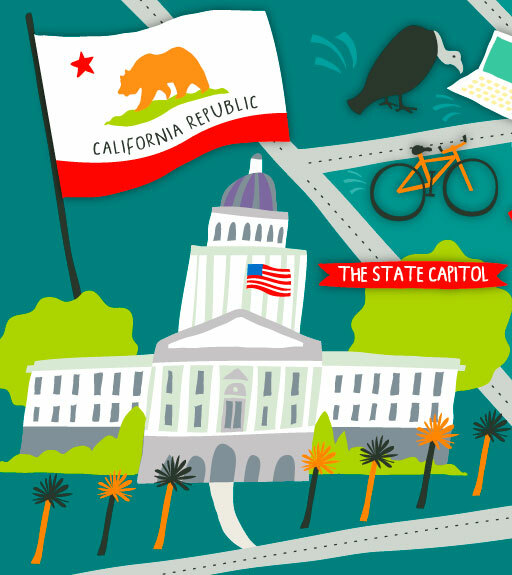 Nate recently created this map for the California Museum in Sacramento. 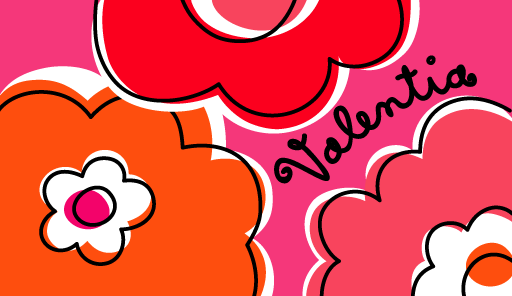 Click here to see the whole thing. 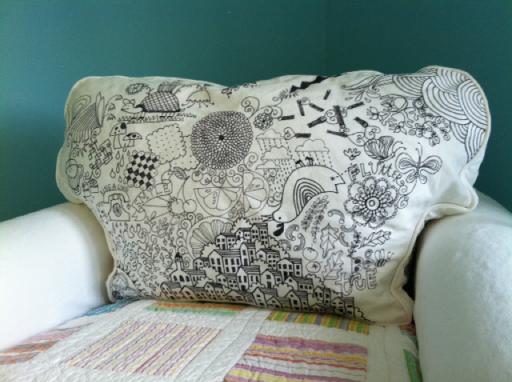 Salli has this chair in her guest bedroom and invites anyone and everyone to make doodles on it. Our sister Jane opened a new boutique in Chicago called Valentia. Nate did the lettering and Salli did the illustration. If you're in the neighborhood on Sunday, May 6 from 1-3pm please stop by and say HELLO to us - we'll be there signing copies of They Draw & Cook. The address is 2042 North Damen Avenue, Chicago, IL. Have you seen or read this book? Salli totally recommends it! Here's a link. If you're in the creative business, it's a must-read. 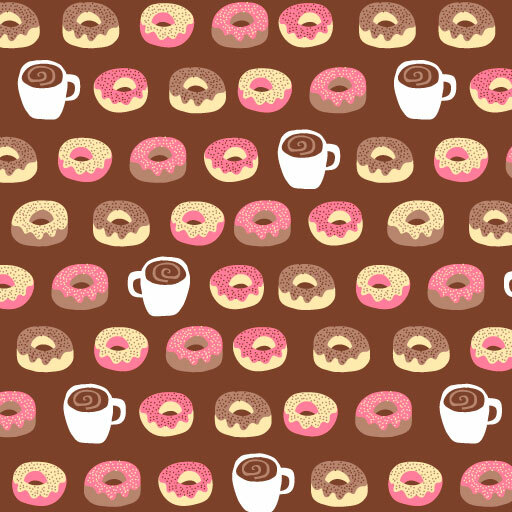 A fun and fattening pattern by Nate. It's available. 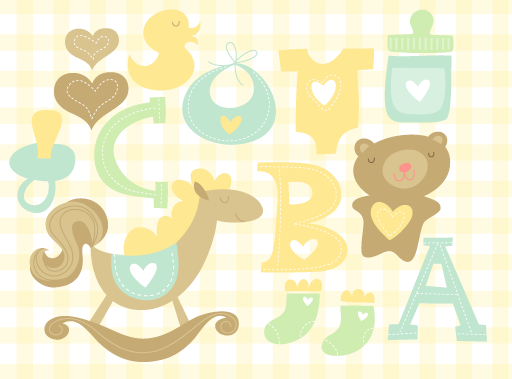 Some adorable baby artwork by Salli that's available. 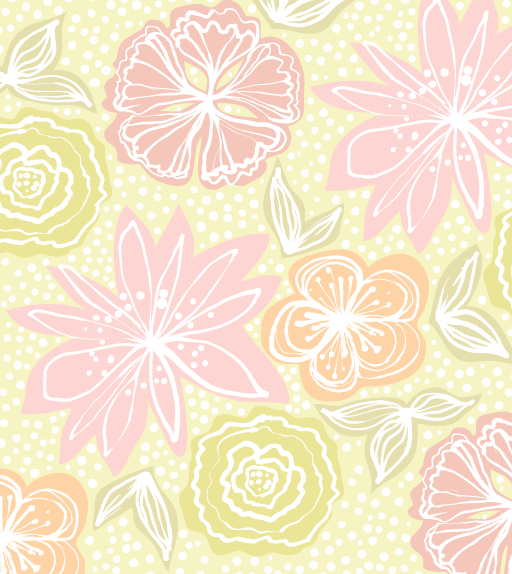 And, last but not least, a super hip floral pattern that Salli created just a couple days ago. It's available. Thanks for the book recommendation! On its way. 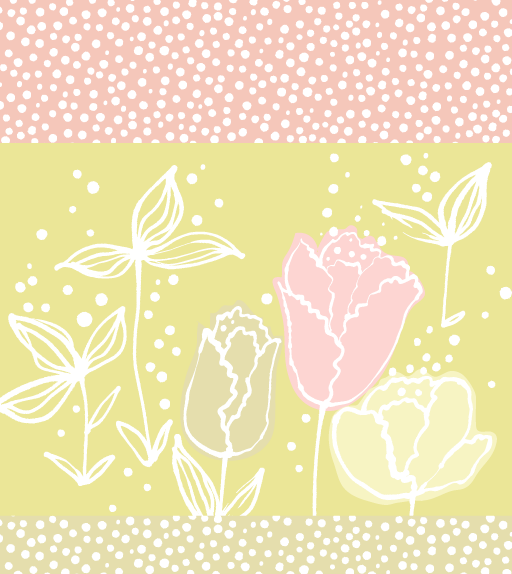 Many of your designs SCREAM fabric design... do u do?